Intel supporting socketed CPUs for "foreseeable future"
The statement should help calm the nerves of panicky enthusiasts who have been reading weeks of rumor stories saying the desktop PC would die along with interchangeable socketed-CPUs. The statement by Intel is rare considering the company doesn’t like to comment on unreleased product let alone unreleased products three years and three generations away. That shows how the rumors have continued to build in critical mass over the last few weeks. The rumor first surfaced when Japanese tech site PC Watch reported on a leaked roadmap the site obtained including Intel’s plans for Haswell to be the last processor in an LGA socket. After that, Intel would only offer the 14nm-based replacement, codenamed Broadwell in BGA trim. BGA or Ball Grid Array packages must be soldered to boards before being used. Since it’s nigh impossible for the average person to de-solder a processor from a motherboard it would effectively end the paradigm of making your CPU choice separate from the motherboard. The PC Watch story spawned additional speculative stories and hundreds of heated discussions on forum boards around the Internet. Even wounded AMD got in on the action this morning when the company decided to take a dig at its competitor by reaffirming AMD’s commitment to sockets. “AMD has a long history of supporting the DIY and enthusiast desktop market with socketed CPUs and APUs that are compatible with a wide range of motherboard products from our partners,” said AMD spokesman Chris Hook. Of course, despite Intel’s statement that it is absolutely still supporting sockets will do little to stop the conspiracy theorists. Many will now want hard details on what “foreseeable future” means—details that Intel is loath to provide. 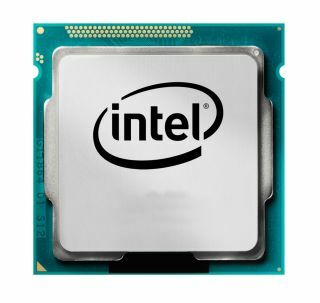 So is Intel likely to ever dump sockets and offer only BGA chips? Maximum PC’s view is that such a future is unlikely. First, server and workstation customers are unlikely to accept BGA products. And since Intel seems intent on offering a high-end product for enthusiasts such as the LGA2011 platform, enthusiasts would probably always have the big-boy socket to fall back to. It’s also not clear on why Intel would move to a BGA-only for all desktops. The advantage of BGA chips is mostly done for space restraints in thin notebooks such as Ultrabooks . You could also argue there is a cost advantage since you don’t pay for a socket but a BGA configuration also means you toss the CPU if the motherboard went bad. It’s possible the leaked roadmap refers to the continuing popularity of mini PCs. In fact, Intel is already offering BGA CPUs soldered to motherboards with its Next Unit of Computing (NUC) experiment . Intel's Next Unit of Computing features a CPU soldered on to the mobo. However, Intel moving to BGA-only chips within three years would cause a very significant and painful change to the PC ecosystem and how they are built, sold, and marketed. Large OEMs such as Dell and HP , for example, like the flexibility to upsell customers from buying Celeron’s to $350 Core i7 chips. With socketed infrastructures, they can make such a change without rebuilding an entire system on the assembly line. With a BGA solution, the companies would have to start over if the consumer decided he or she wanted a faster CPU. Kelt Reeves , owner of boutique PC maker Falcon Northwest said the rumors stories he has read are a bit over the top. “For the past week I’ve seen some press about Broadwell being BGA-only that seems a bit hyperbolic. Everything from ‘this means Intel is destroying the motherboard makers to make everything themselves’ to ‘it will kill the enthusiast market’ to ‘it will force you to by a new $1,500 PC instead of just a new CPU,’” he said. But then on the other hand, if the rumor were true, it would be leave a lot of unanswered questions.